Gap has been looking to reduce its dependence on the North American market,which generates more than three-quarters of its sales. Apparel player GAP is coming to India with 40 stores as part of its strategy to expand in emerging markets, the company announced in a press note. 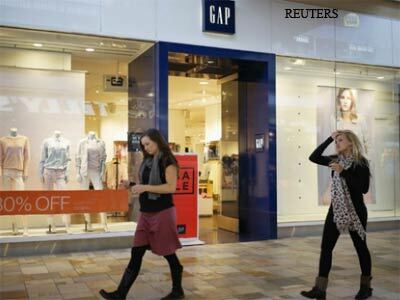 Gap said it is partnering with Arvind Lifestyle Brand Ltd, a unit of textile manufacturer Arvind Ltd, for opening the stores in India. The first stores will open in Mumbai and Delhi. "India is an emerging, vibrant market and an important next step in our global expansion strategy," said Steve Sunnucks, Global President of Gap. Sales of its other key brands - Gap and Banana Republic - have cooled in the region as shoppers cut down on discretionary spending. Sales in Asia accounted for only 9 percent of Gap's total revenue of $16.1 billion in the year ended February 2014, but are growing fast. The company said in April it expected sales in China to triple in the next three years to $1 billion. "India is an emerging, vibrant market and an important next step in our global expansion strategy," said Steve Sunnucks, Global President of Gap. The company, which currently has 231 Gap stores in Asia, is also aiming to open 110 Gap stores in mainland China, Hong Kong and Taiwan this year. Gap raised its full-year profit forecast to $2.95-$3.00 per share for the year ending February 2015. It had previously forecast $2.90-$2.95 per share. Comparable sales at Old Navy stores rose 4 percent in the second quarter ended Aug. 2. Sales of Gap and Banana Republic clothing were disappointing. Comparable store sales fell 5 percent at Gap and were flat at Banana Republic.Many large US retailers have reported disappointing quarterly sales at their established stores, pointing to a cutback in spending on discretionary items.